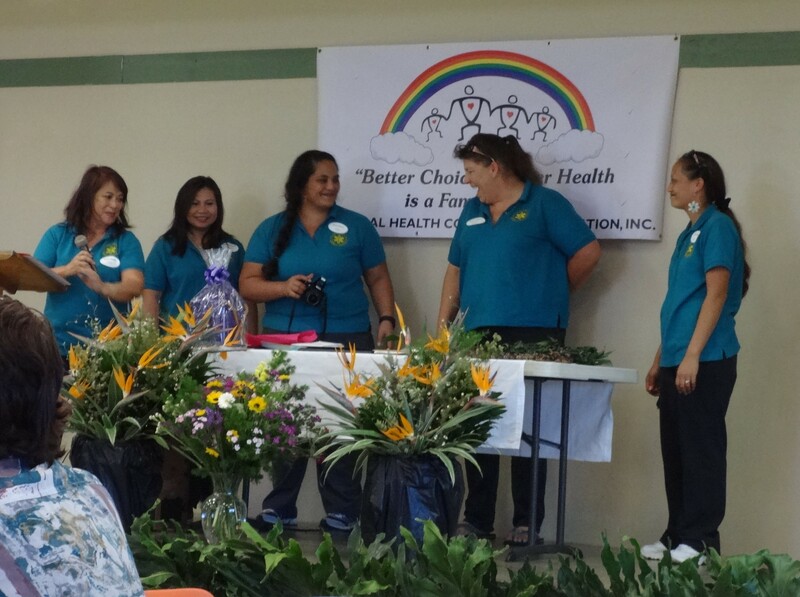 Another Successful Conference « Ka'u Rural Health Community Association, Inc.
March 27, 2015, KRHCAI held its 18th Annual Ka’u Rural Health Conference. To their pleasure, the attendees or participants outweighed the registration rooster. 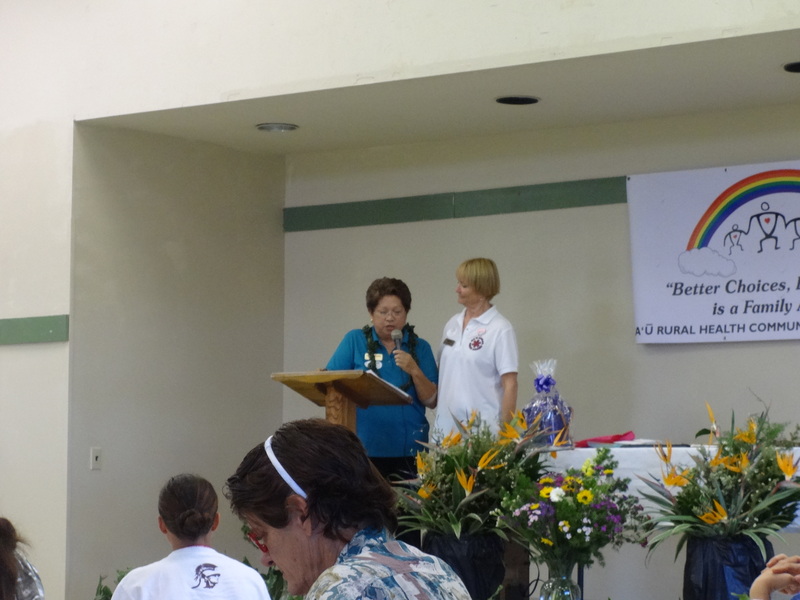 Guests and exhibitors were welcomed through Pahala Community Center’s front entrance. They were greeted at the entrance with a view of the stage. The beautiful flowers were donated by Wood Dell Farms and the centerpieces were arranged by Sweetie Grace (a former supervisor of the previous McCall Flower Farms). 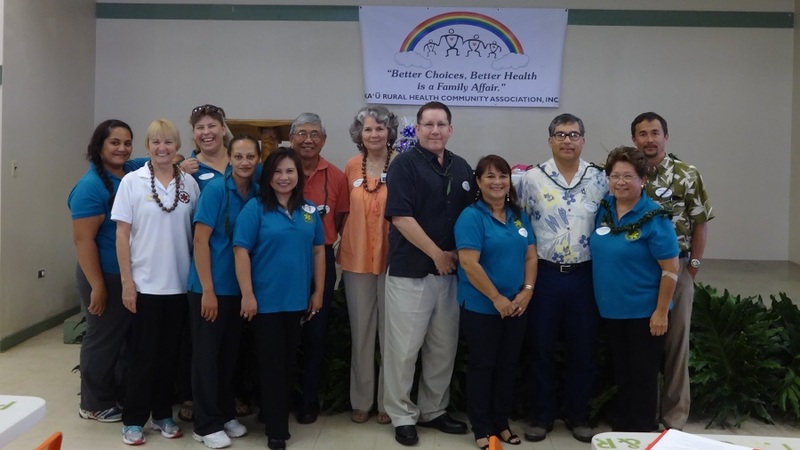 Through collaboration including partnerships and long hours that volunteers willingly contributed, the 18th Annual Ka’u Rural Health Conference was a sweet success. It comprised of numerous exhibitors: College of Pharmacy, Hiilei Aloha, LLC, Maui Economic Opportunity, Hawaii Health System Corporation, Department of Labor and Industrial Relations, Unitedhealthcare, Hui Malama Ola Na Oiwi, Kahuku Ahapua’a, HMSA, ADRC, University of Hawaii Hawaii Community College-Rural Hawaii Business Program, HiClass, University of Hawaii CCES, Department of Public Health, and the Ka’u Community Asthma Project Program. 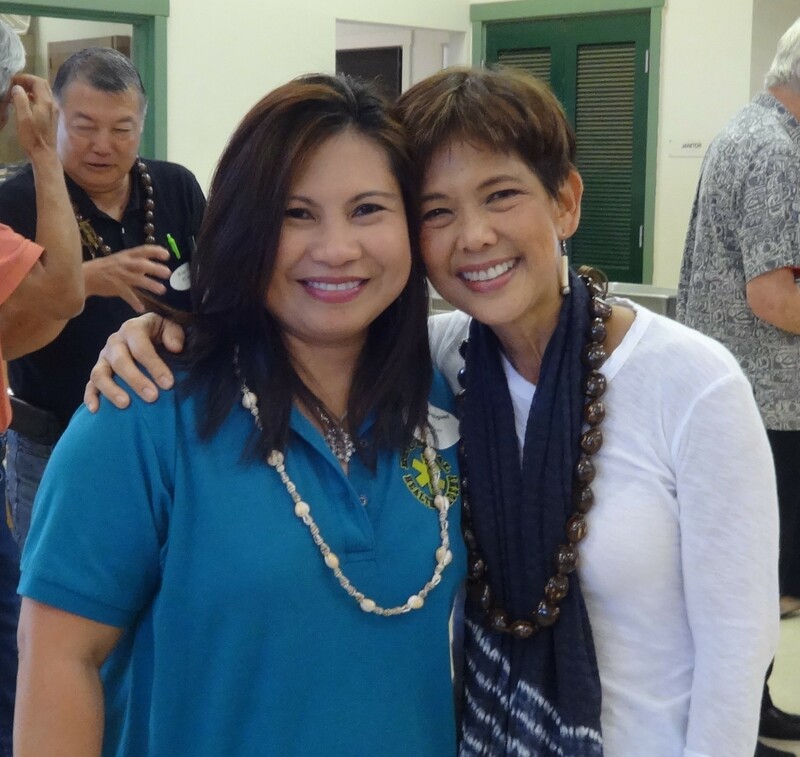 Luz Miguel (KRHCAI’s Director) poses with our keynote speaker Elisa Yadao from HMSA. Theresa Richardson receives a Certificate of Appreciation of KRHCAI’s Executive Director, Jessie Marques. 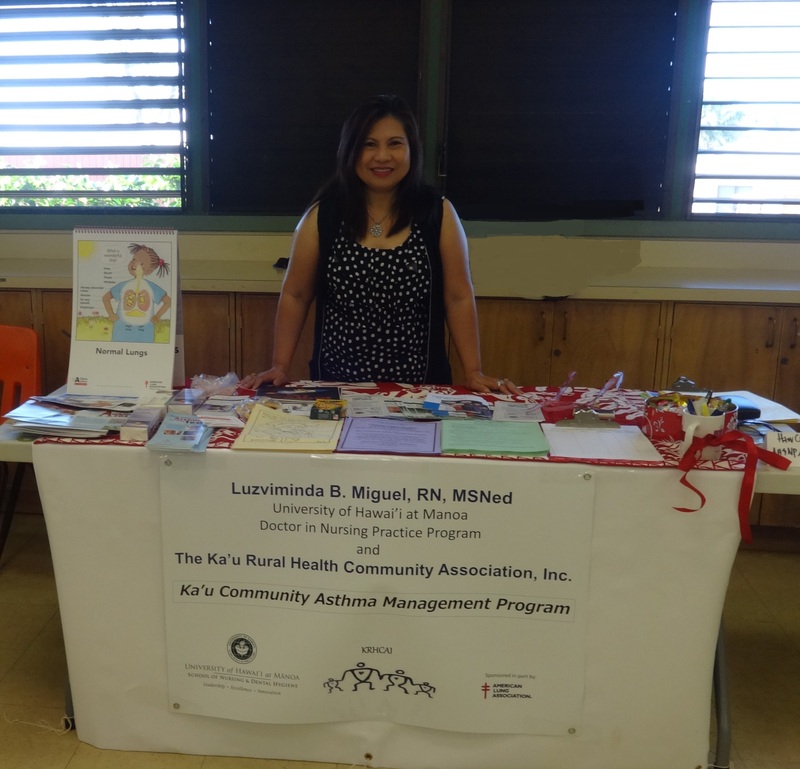 For her dissertation, Luz tirelessly advocates for better asthma management in the communities of Ka’u.